If the Legislative Budget Board signs off, $150 million in emergency funds may be headed to the embattled Department of Family and Protective Services. 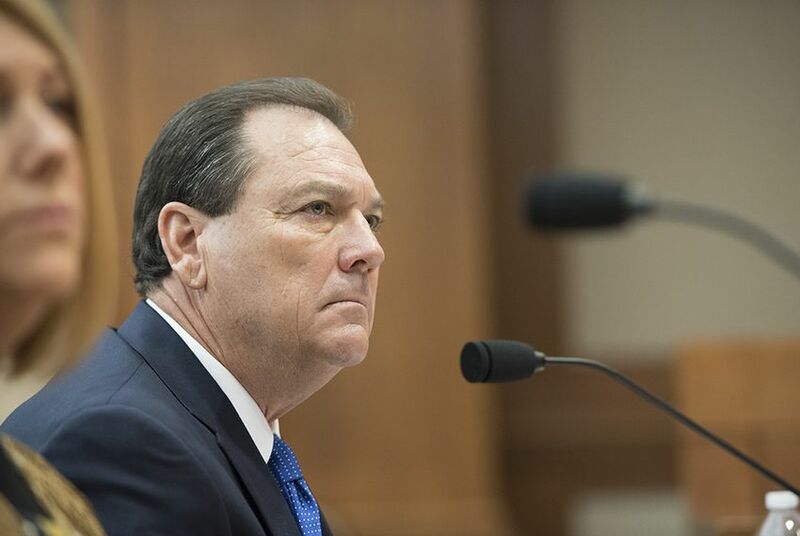 Texas lawmakers said Thursday they're willing to give $150 million in emergency funding to the embattled Department of Family and Protective Services to help the agency begin addressing gaps in its ability to protect vulnerable and abused children. If the Legislative Budget Board gives final approval, the agency will be able to hire 829 new caseworkers and give $12,000 raises to existing ones. That approval could come on Friday, though the amount of money could still change. Lt. Gov. Dan Patrick said in a joint afternoon news release with Senate leaders that the deal would “add teeth” in “assuring the safety of our children.” Senate Finance Committee chair Jane Nelson, R-Flower Mound, Senate State Affairs Committee chair Joan Huffman, R-Houston, Senate Education Committee chair Larry Taylor, R-Friendswood, and Senate Business Committee chair Kelly Hancock, R-North Richland Hills, joined the statement. The final funding will not be clear until the Legislative Budget Board releases its own approval letter to the Department of Family and Protective Services. Officials at the agency say they're waiting on the board's letter and did not have a statement at the time of publication. House Speaker Joe Straus said in an email statement that the funding is "a meaningful step toward stabilizing the CPS workforce." "The Texas House will build on these efforts so that we can continue improving child protection and foster care," he said. The emergency funding comes nearly two months after Gov. Greg Abbott, Patrick and Straus wrote a fiery letter to DFPS Commissioner Hank Whitman demanding he come up with a plan to save Texas children waiting on the agency to take them from abusive homes. Whitman responded days later with a plan that would have brought in 550 new workers including caseworkers, special investigators and support staff. The agency has struggled to keep up with increased reports of child abuse and neglect and recover from constant caseworker turnover. Madeline McClure, CEO of TexProtects, said in a news release that the funding approval, particularly caseworker salary increases, would be critical for helping ease DFPS turnover rates and decreasing caseloads. “Mark this day: Child Protective Services caseworker turnover will drop starting today," McClure said. "We will be able to retain more workers as well as attract a larger and more qualified pool of workers from which to hire. We are greatly encouraged that the state’s leadership understands that caseworker retention – including higher salaries – tops the list of needed fixes to Child Protective Services." Initially, lawmakers were wary of simply giving Whitman the $53.3 million he requested. That led to an intense Oct. 26 Senate Finance Committee hearing where members said they were torn between helping children and giving more funding to the flailing agency. Nelson appointed a five-member work group to scrutinize DFPS finances. That group released its own findings on Nov. 7 and called for giving the agency $75.3 million and included recommendations to hire 136 new staffers and boost salaries by $12,000. The state has also faced a brutal battle with federal court-appointed special masters who delivered a scathing assessment on Nov. 4, releasing a 13-page report on how Lone Star State lawmakers could make over the CPS system including developing a statewide reporting or hotline system to report alleged child abuse; giving caseworkers between 14 and 17 cases; and more outside training and mentorship for new hires. But lawmakers have been indignant about needing federal oversight. On Nov. 22, Attorney General Ken Paxton said the federal recommendations were “over-broad” and remained adamant that the state could handle fixing the system without the courts. A new legal filing from Texas Attorney General Ken Paxton has put Texas leaders in a delicate position of conceding problems in foster care but arguing against a federal judge's proposed reforms. Hank Whitman, appointed by Gov. Greg Abbott to fix the state's dangerous and dysfunctional foster care system, says he needs more money to get the job done. Some lawmakers aren't convinced.